Our core management and consultancy team delivers a unique and wide-ranging combination of skills and experience to ensure that we can react quickly to any clients' needs. We maintain an extensive network of additional consultants across most sectors of the Aerospace and Defence industries. Click on a name below to find out more. Richard has a strong commercial background in the aerospace and healthcare sectors, and owns businesses in both industries. In 2001 he became involved in a major new British aircraft development company and took a leading role in the buyout of that organisation in which he became a director and major shareholder. Under Richard's tenure, the company developed the first new British civil passenger aircraft for over 20 years and the prototype aircraft has been displayed at airshows all over the world. Richard has worked extensively in the Middle East for a number of years and formed Aerospace Resources Ltd to bring together a specialist team to evaluate, develop and consult on aerospace and aviation opportunities. In addition to Aerospace Resources, Richard also established a healthcare company (in 1993) and this company now facilitates and manages the healthcare needs of over 90% of all professional footballers and cricketers in England and Wales, including the national squads. A pilot for over 20 years, Richard holds US & European Commercial Pilot's Licences with Instrument Ratings and a Seaplane Rating. He also maintains an Air Display Licence, displaying vintage aircraft around the UK. Keith was an officer and fighter pilot in the British Royal Air Force (RAF) until 2007 when he retired in the rank of Wing Commander. Trained as a fighter pilot, Keith flew the Hunter, Lightning and Phantom operationally around the world. He became a qualified flying instructor and examiner and for a period was responsible for evaluating the air defence capability of UK forces. His distinguished service career also led him to fill the post of Wing Commander Red Arrows, the world-renowned aerobatic display team of the RAF. As a member of the UK Government team servicing Project Al Yamamah, he was senior air adviser to the Royal Saudi Air Force based in Riyadh, where he lived for nine years. A graduate of the UK Air Warfare College, a Fellow of the Institute of Management and a Member of the Royal Aeronautical Society, Keith brings a wealth of aviation and general high tech experience to the Aerospace Resources team. Sir Joe French has recently retired from the Royal Air Force after almost 40 years service. His operational background was flying helicopters, serving in Sharjah, Hong Kong, Germany and the UK. Operational deployments included Northern Ireland, Belize, the Falkland Islands and the Gulf. Following attendance at the Royal College of Defence Studies in 1992 he spent 11 years in the Ministry of Defence (MoD) dealing at first hand with the many major change programmes during that period. His last appointment in the MoD was as Chief of Defence Intelligence which covered the start of operations in both Afghanistan and Iraq. On leaving MoD he spent three years as the Air Member for Personnel and led the RAF manpower draw down work and Service reorganisation. His final tour was as Commander-in-Chief Strike Command, responsible for all the RAF's operational forces including deployments to Afghanistan and Iraq. In the past two years he has taken up several advisory appointments with large corporations specialising in strategic planning and change programmes specialising in the changing demands in the defence and security areas. A qualified Chartered Accountant by training, since 2001 David has worked as a consultant providing financial and business advice to companies principally in the aerospace, transport and financial services sectors. He regularly assists companies to develop their financial management systems so that they can control their business operations more effectively. Before becoming a consultant, David was Chief Financial Officer of a technology company during a period which encompassed recovery from near collapse, consolidation and then subsequent rapid growth culminating in a highly successful $130 million equity fund-raising and flotation on the main London market. Prior to that he was an audit and accounting partner with Deloitte for 11 years advising a variety of entrepreneurial clients, through which he gained extensive experience of M&A activity, fund-raisings and the listing process. David is an active pilot, holding UK and US Pilot Licences with Instrument Ratings. An experienced business leader and marketing professional with global experience in the airline, business jet, hotel, travel agency, consultancy and e-commerce sectors..
With 25 years in the aviation, travel and marketing industries Jonathan brings broad experience and a range of highly relevant skills to clients of Aerospace Resources Ltd. He developed his corporate career through a range of senior marketing positions at United Airlines, Delta Air Lines and Hilton International. At United he was closely involved in the launch of Star Alliance, the world's first branded airline alliance, and as European Marketing Director at Delta he led the repositioning of the brand in Europe. Since leaving the corporate world Jonathan has played a key role in a number of new ventures in the business aviation and online marketing sectors. He led the marketing strategy for the launch in Europe of the Marquis Jet Card, an innovative business jet product, in partnership with leading private jet operator NetJets. Since then he led the turnaround of a failing marketing services business, and launched an innovative online marketing venture in partnership with several major international airlines. Jonathan was closely involved in the development of the Farnborough Aircraft F1 Kestrel business turboprop, leading the marketing strategy and the development of a unique operating model and associated technology. Jonathan holds an MBA with a specialisation in marketing from City University Business School in London. Paul has over 15 years of international strategic business experience. Responsible for managing a diverse range of corporate activities, Paul has held directorships in companies across the globe. Through managing the operations of a portfolio of international companies, Paul gained experience in the financial services, property development, heavy industry, hospitality, trade finance and commodities trading sectors. Having created and managed new ventures within larger multi-national organisations, Paul has a wide experience of business structures ranging from fledgling companies to large corporate operations. More recently, Paul took a central role in the successful financing and restructuring of a business controlling assets in excess of USD $1bn. Paul's experience encompasses extensive business activities in Europe, Africa, CIS countries and Asia, endorsing the comprehensive knowledge of international business practices and cultures within the Aerospace Resources team. Dil has significant aerospace commercial and procurement experience, with an extensive background at Senior Board Level in both the RAF and the former Defence Procurement Agency (DPA)s. He is recognised as a skilled strategic thinker and natural leader, and an individual who can make a difference with a proven track record of quickly solving complex problems and achieving timely results. Prior to joining the ARL consulting team Dil worked for BearingPoint (one of the big 5 consultancy houses) as a Senior Director & Head of Defence. Dil is adept in risk and project management for very large, high budget, complex programmes. During his extensive career with the UK's Royal Air Force, Dil's emphasis was in the Aerospace Project, Procurement and engineering support sectors. He was the UK Integrated Project Team Leader (IPTL) for the Eurofighter Aircraft and chaired the 4 Nation Board. Prior to that he was the IPTL for all 12 RAF Training aircraft fleets (750 aircraft)and managed the life extension programme for the Hawk advanced trainer on time, to performance and on cost. He also held senior posts in the management of Jaguar squadron maintenance and spares support. In addition, Dil was Strategic Head of Ground Training for the RAF encompassing all aspects of technical and ground training, was the RAF Head of the Defence Training Review, and Base Commander at RAF Cosford. Martin is a career consultant with experience in air transport, defence and security. He has over 13 years experience in aviation including Head of Corporate Strategy &Planning for the UK's Civil Aviation Authority. Martin is an accomplished project manager, having led several high profile studies. For example, he was the project manager for a European Commission study into benchmarking of air traffic management. He also held an interim management position as UK CAA Head of Corporate Strategy and Planning. Martin's knowledge of airport operations comes from a variety of projects. He held an interim management position as head of airport capacity studies for UK NATS and a similar position as head of environmental studies. He supported EUROCONTROL on the revised airside capacity enhancement guidelines, the runway occupancy time awareness raising campaign for pilots and a reformulation of the 'ATS airside capacity awareness' CD-ROM. Martin also supported EUROCONTROL in developing their airside capacity training course. He has an excellent knowledge of Airport 'Collaborative Decision Making (CDM) from developing cost benefit analyses for several European Airports (including Heathrow, Brussels, Milan Malpensa, Barcelona and Stockholm). Martin is currently supporting the development of a new operational concept to improve air traffic flow management – by consulting with airlines, airports and air traffic control service providers and building the business case that will support the concept. Stuart is a professional aircraft maintenance manager, technician, and logistician with a wide range of experience, including 37 years of service with the UK Royal Air Force (RAF). Stuart's experience in the RAF included working alongside the Aerospace Industry, he also benefits from a rich history in aviation as the third generation of his family to serve with the RAF. This experience has developed an expert knowledge of a number of key aviation disciplines, including: aviation maintenance and repair, aviation project management, military aircraft spares storage and management, and ISO9001 implementation and practices. Stuart is fully trained in all aspects of airframe repair and maintenance work, and also an experienced trainer and manager across the full range of airframe trade requirements. In addition, he has gained considerable project management experience through 17 years of involvement in integrated project teams (IPTs) in the RAF; during which time he received a number of Service and Industry Commendations and Awards. Prior to joining Aerospace Resources Ltd, Stuart's roles in the RAF varied from aircraft technician though liaison officer and Warrant Officer. Ann is a professional marketeer, having started her working career as commercial trainee with British Aerospace in the early 90's. From here she went to a number of IT companies before settling with one the UK's fastest growing full service marketing agencies, leading the marketing strategies for clients such as BAA (British Airports Authority) IBM, Cable &Wireless, Cunard Line, Royal Caribbean International, The Army Benevolent Fund and over 200 other businesses across the Globe . With over 15 years of strategic and tactical marketing experience, gained both from an agency and client-side perspective, Ann can offer an impartial view of communication across the whole on and off-line marketing mix from experience with a broad spectrum of industries and sectors including IT/High-Tec, Aerospace, Defence and Travel. As one the UK's most talented and highly qualified marketers in addition to being a Fellow of the Chartered Institute of Marketing, Ann's key strengths include an excellent knowledge of through the line principles and practices, including Advertising, Public Relations and e-marketing. Through AMB Marketing Ltd, Ann supports the PR and Marketing requirements of Aerospace Resources Ltd's clients. Archie retired as CEO of Oil Spill Response Limited (OSRL) in 2013, a global oil services organisation owned by 44 of the world's major oil and gas companies. Archie is also highly qualified in maritime emergency management, contingency and oil spill response planning. The role of OSRL is to support more than 140 oil companies in their operations all over the world; work is focused on oil spill prevention, preparedness and response. During his 18 year tenure as CEO, Archie steered the company through significant growth from 30 employees to 300, with operations and assets on 4 continents. Adrian Norris was a Director and joint owner of Farnborough Aircraft Corporation from 2008 until the sale of its assets to Kestrel Aircraft in the United States. He was a co-founder of Kestrel Aircraft, and served a three year term as a member of the management board. Previously he was a member of the Executive Board and Director of Projects for TNT Express, a global provider of express transport services employing over 75,000 people worldwide with annual revenues in excess of $8.0 billion. He led cross-functional teams to harmonize business processes and systems in TNT's worldwide operations and was responsible for the implementation of SAP software throughout worldwide operations. In his earlier career with TNT, he held a variety of senior management positions in France, the UK and the Netherlands. He has degrees in chemistry, from the University of York, and management, from the London Business School. He holds a US Commercial Pilot's Licence and instrument rating. Alex is a Chartered Accountant with over 20 years' industry experience, specialising in the SME and Enterprise Information Technology and Services sector. Alex is comfortable in both financial and commercial roles, working at board level developing and implementing strategy as well as on the ground managing teams to deliver the stated business objectives. From 2007 Alex has been involved with The SAS Group of Companies, a provider of Managed Telecommunications Services - fixed and mobile - to UK and international clients, including Tier 1 carriers. Working in a variety of lead roles, he presided over a period of strong growth which saw revenues and profits rise by 200% over the period as well as the development of new products and new routes to market. Alex has a LLB from the University of Leeds and is a member of the ICAEW. Martin recently retired as Chief Executive of Marshall of Cambridge Aerospace Ltd, one of Europe's largest privately held aerospace and defence companies delivering military and civil aerospace MRO, manufacturing, design and R&D services to clients worldwide. Martin joined the Aerospace Resources Ltd consulting team following his retirement as Chief Executive of Marshall Aerospace. Following his work as Manufacturing Project Manager at Marshall Aerospace for the highly successful conversion of C-130 aircraft to the Tanker/Receiver role during the Falklands war, he was appointed, in 1983, as Production Programme Manager for the Strategic Tanker conversion of L1011 aircraft for the Royal Air Force. He became Chief Project Manager for the Company in 1987 and was appointed as a Director of the Company in charge of Production in 1992 in which role he worked until 1995. During 1995 Martin was heavily involved in developing new business as Director of Business Development before being appointed as Managing Director in February 1996 and Chief Executive in 1999. Martin is a council member of the Royal Aeronautics Society. He was awarded the O.B.E. in the 2004 Queen's Birthday Honours List for services to the aerospace industry. Andy has enjoyed a successful and varied career in the UK Royal Air Force as an engineering officer, reaching the rank of Air Commodore and specialising in helicopters. Andy has also worked in the intelligence field and was latterly the Defence Attaché at the British Embassy in Moscow. Able to adapt to a wide variety of tasks, Andy has worked on projects as varied as: a review of RN and RAF Sea King operational spectra for fatigue substantiation; developing a procedure for dealing with un-demanded flight control movements on the Chinook; assisting with the development of a Safety Case for the Mi-17 helicopter and procuring a former RAF airfield for a commercial customer. A professional aerospace engineer, Andy speaks good Russian and flies and maintains his own light aircraft. A highly capable manager and consultant for Aerospace Resources Ltd with 35 years of experience working in both strategic and operational roles across many disciplines, before joining the ARL consulting team Paul served in the RAF as a Group Captain. During his time in the RAF, Paul managed the operation of a 1500-strong organisation providing support services for a front-line, operational RAF station. He was responsible for prioritising equipment and manpower, accelerated maintenance activity to meet intensive flying, maximised use of facilities and motivation of staff, resulting in increased aircraft availability by 20% and meeting all operational tasks. Paul held various roles in the RAF including commander of the engineering and supply wing for the UK Maritime Patrol Force, Personal Staff Officer to the Board Member for Logistics/Chief Engineer and programme manager for collection and integration of RAF headquarters. In addition, Paul also managed all the MOD's aircraft maintenance systems with BAE Systems and Rolls Royce on business improvement and information sharing and set up the business service element of the new IS strategy directorate with the defence logistics organization. After studying Engineering at Oxford University, Gordon carried out research on genetic algorithm optimisation and finite element analysis at the National Physical Laboratory. While at NPL, Gordon also worked on the design of systems for the ThrustSSC supersonic land speed record car. After completing his PhD at City University, London, he joined an Airbus sponsored research group at Southampton University, investigating the application of novel computational methods to the design of transonic wings. He was Chief Aerodynamicist for the Farnborough Aircraft 'Kestrel' single engine turboprop aircraft, witnessing its development from 3-view sketch through to flight-testing. A member of both the American Institute of Aeronautics and Astronautics and the Royal Aeronautical Society, he has consulted on a wide variety of aircraft projects for customers ranging from start-up companies to 1st tier primes. When not working on aircraft design, Gordon enjoys offshore sailing and hill walking. He also spent 20 years as a reservist in the British Army, serving as a Commando and Military parachutist. Martin is an aviation consultant for Aerospace Resources Ltd as well as a professionally qualified engineer and project manager with extensive experience of all phases of the aircraft life cycle. Martin is a successful, customer focussed manager with considerable experience working in a multi-national environment. In his 35 years of aviation experience before joining ARL, Martin held numerous roles in the RAF including a series of posts managing the maintenance of aircraft, introducing new aircraft types to service, recovering crashed aircraft and developing policy for aircraft structural integrity. Martin went on to be head of the RAF Hawk Support Authority managing a multi-disciplinary group comprising technical, supply, quality finance and contract specialists responsible for fleet management, airworthiness assurance, spares and repair procurement. Further to this Martin was programme manager for the RAF Hawk Life Extension Programme, responsible for implementation of technical studies to investigate how to extend life of RAF and Finnish Air Force Hawk Fleets. His most recent work with the RAF was as training aircraft manager and project engineer for UK MOD and Saudi armed forces project. Nicolas is an experienced executive engineering manager with a proven track record of successfully delivering mission critical support services to front-line operations as an RAF Wing Commander. He has experience of commercial, capital-intensive international projects, working within and alongside civilian, defence and government organisations both in the UK and overseas. Nicolas has 3 years of experience working as an internal consultant in the progression of strategic organisational transformation. Before joining the Aerospace Resources Ltd consulting team, Nicolas enjoyed a career with the RAF spanning 30 years in many diverse roles from engineering project monitor as the sole UK MOD representative within the Al Yamamah Project based at Al Salam Aircraft Company in Riyadh to deputy chief engineer at RAF Coningsby in Lincolnshire supporting over 40 Tornado F3 aircraft as well as the Battle of Britain Memorial Flight. Building on this experience, more recently Nicolas worked with the UK MOD Saudi-British Defence Cooperation Programme as prime contractor in support of the Royal Saudi Air Force fleet of over 80 Tornado aircraft where he managed all stakeholders, maintained airworthiness of the fleet and provided independent challenge, verification and endorsement during the development of technical solutions by BAE systems. Peter Varnish has led a varied and prominent career working for the British Government with a focus in military engineering solutions. He was Director for Technology Partnership as a precursor to the privatisation of DERA (the UK's 'Defence Evaluation Research Agency', now renamed 'QinetiQ'). 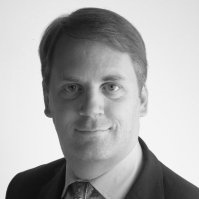 He has been a UK representative at NATO and was Scientific Adviser in the British Embassy, Washington DC for four years, and on a number of occasions has chaired Abu Dhabi's Gulf Defence Conference (coincident with IDEX) on behalf of His Highness Sheikh Mohammed Bin Zayed Al Nahyan, Crown Prince of Abu Dhabi. Peter has worked extensively in the Middle East for many years with a variety of government and commercial agencies. He was awarded the Queen's honour, 'Order of the British Empire', in 1982 for his contribution to the outcome of the Falklands war. Pierre is a former RAF Squadron Leader and Systems Analyst and a fully qualified bi-lingual logistician with extensive experience in the international field. Substantial successful experience in negotiation and integration of international logistics with wide experience and proven results in the political and legal areas of international technical agreements. Trained in the field of Integrated Logistics Support in both France and the UK. 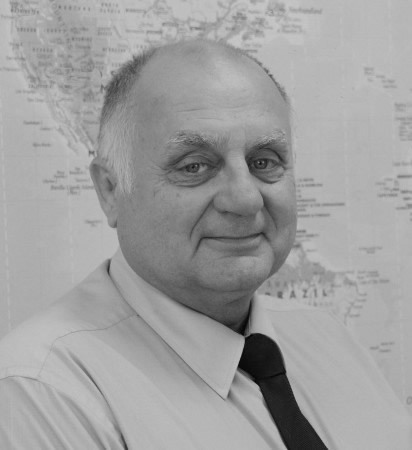 Pierre's career in the aerospace industry started in 1968 working for Air France in the UK, he went on to join the RAF. As Jaguar spares Liaison Officer Pierre ensured a smooth, successful resupply of French sourced Jaguar spares and ensured that Anglo-French customs and legal procedures were adhered to. Pierre also managed the supply support of 3 squadrons of Tornado bombers, one squadron of Victor tankers and the Strike Command Air-to-Surface missile support unit on the largest RAF base in the UK. 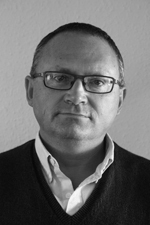 In 1997 Pierre was business development manager for the newly formed Defence Agency with the RAF and developed Marketing and sales of RAF products worldwide. He has also advised the commander of NATO Airbourne Early Warning and Control Force Command on the political and legal aspects of his command and acted as joint secretary to NAPMO in the primary role. John Ellis is an experienced aviation specialist with over 25 years in airline related business. John started his career in the design of fire detection systems for airports and aircraft hangars in 1982. The development of the concept led to a business which provided in-flight fire safety consultancy and fire fighting advice to airlines in the UK and around the world. As the founding managing director, John sold the business in 1989 to a major UK fire safety company. Following this early aviation success John went on to form a training company providing specialist consultancy for air disaster analysis. The analysis of high profile incidents including the Manchester air disaster,M1 Kegworth air disaster, Lockerbie air disaster and the El/Al air disaster at Schipol led to consultancy and training work with a variety of organisations including Virgin Atlantic and regulatory authorities such as the UK CAA. In 2007, John was appointed Business Development Director for the Farnborough Aerospace Consortium (FAC), a regional aerospace trade association in the UK. John Ellis has travelled extensively across the world in the course of his aviation career, generating over £30 million for aviation organisations he has been involved with. He is married with two young children and is based in Dubai, part of the United Arab Emirates. He is a qualified NLP Business Coach and has published two books; 28 Golden Rules of Business Success and 28 Golden Rules of Customer Service. Andrew Charlton is an Australian attorney who has specialised in aviation for twenty years. He was Chief Legal Officer of Qantas Airways, with responsibility for initiating and executing lobbying and communications. He negotiated several ground-breaking deals, including the joint co-operation arrangements with British Airways, and was part of the core team that led the privatisation. Andrew managed the largest US debt raising in Australian history, as well as several aircraft acquisitions, and the entire spectrum of airline transactions. He later joined IATA and then SITA, where he held senior responsibility for lobbying and government affairs. Since moving to Europe ten years ago, Andrew has been actively involved in dealing within the European Commission, ICAO and other government agencies on matters having both direct and indirect impacts on aviation. Andrew has served on several industry boards, including the Civil Air Navigation Service Organisation (CANSO) and the .aero Council. He has extensive experience in aeronautical telecommunications and aeronautical spectrum issues. He led the airline campaign to preserve its spectrum at the pivotal World Radio Conference of 2000. He also negotiated the aero domain space on behalf of the industry, and recently established the regulatory framework to allow mobile telephones to be used on board. Andrew also represented the world's airlines in the negotiation of the Aircraft Protocol to the Unidroit Convention on International Security Interest in Mobile Equipment, at the Diplomatic Conference in Cape Town in 2001. Paul has wide experience across a wide range of ANSP disciplines including operations, technology human resources and economics. He has several years experience in senior executive roles in an ANSP and led the development of business plans and associated performance frameworks for ANSPs in Europe and worldwide. Paul is an experienced aviation consultant with a professional background in Human Resources at the highest levels. He was Director of the Human Resources (HR) function for several large New Zealand companies where he was responsible for design and implementation of business transformation strategies and all Human Resource functions including training and development where he had direct responsibility for design and delivery of training and development programs. As manager of the Auckland ACC for Airways New Zealand, Paul has an extensive background in ATC operations management. He has directly managed major systems implementations and has a broad understanding of ATM systems, developed through numerous roles including senior executive roles in Airways New Zealand, leadership of business case development in Asian ANSPs and undertaking assessments of new operational concepts such as Remote Tower Operations. Paul's experience with ANS operational concepts includes development of contingency arrangements in Hungary, Austria, Czech Republic, Slovenia, Croatia and Bosnia Herzegovina. He was Project Leader and lead consultant analysing options for the configuration of regional enroute and terminal airspace and the organisation of operations and technical systems (Croatia) and Project Lead for the review of organisation of terminal and enroute airspace and air traffic service operations and organisational structures for the Irish Aviation Authority. He has worked on Minimum Safe Altitude Warning and Approach Path Monitoring for EUROCONTROL. Paul was technical advisor to evaluating the technology refresh programme, assessment of requirements, review of key business case factors and advising on procurement in respect of the Georgia Air Traffic Control organisation. He led the assessment of current technology and design of future CNS/ATM development and subsequent capital plans for ANSPs in four states in Asia. Paul led Airways International the international business arm of Airways NZ, an aviation training, technology and commercialisation consultancy, through a period of step growth in revenues. During his tenure the company developed in the key markets of the Pacific, Asia and Middle East providing services to a wide range of Regulator, ANSP and Airport clients, particularly in the provision of aviation related training.